Cleanius is warm and comfortable. Patients appreciate the warm and ergonomically shaped plastic, especially when staying longer. Once the patient has felt how pleasant Cleanius is, he will always request "his Cleanius bedpan" in good time. He knows that he can relax "before" and "after," without pressure and pain. If the patient is able to lift his backside, Cleanius can easily be pushed underneath. For lateral application the patient can be turned from the nurse. For lateral application the patient can also be turned towards the nurse. The correct position of the patient on Cleanius is given when the human sacrum is congruent with the sacrum shown on Cleanius. In case of conventional bedpans, the stool and urine can partially contaminate the bed unhindered. In the course of care, a paper towel, a washcloth or the like is temporarily put over it as a splash guard substitute. Through the splash protection all excretions are safely directed inwards. This effectively prevents any bedding contamination. The patient can squeeze carefree. 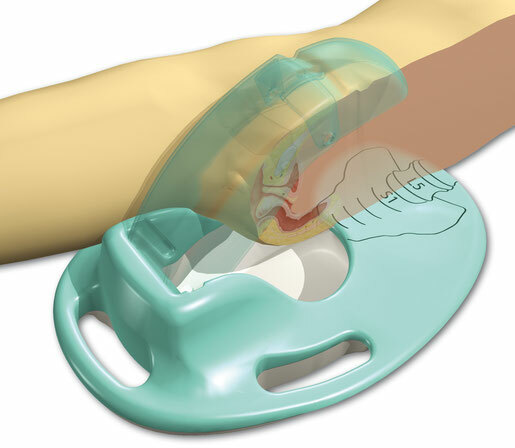 At Cleanius, the splash guard is part of the bedpan. With conventional bedpans, the buttocks of the patient may become stuck. This "suction cup effect" often leads to unwanted bedding contamination when deposited on the side. 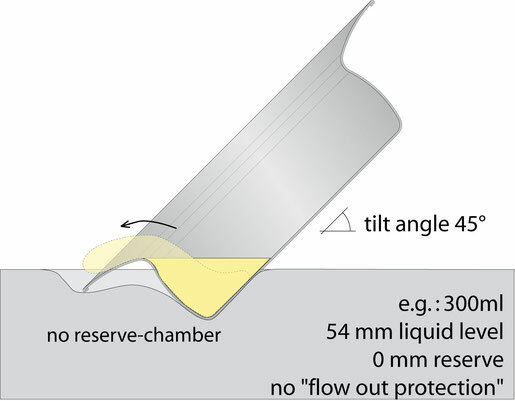 The conventional bedpans have no leakage protection. Cleanius can not get stuck. 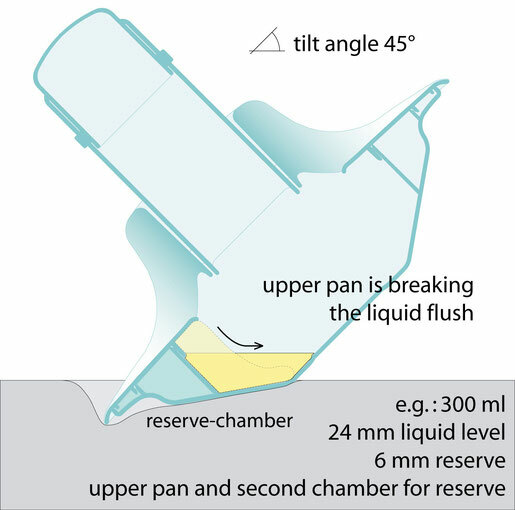 Thanks to its hollow shape and the dual-chamber system (reserve chamber), the Cleanius bedpan offers excellent leakage protection, even when tilted during lateral application.